Rebound Mini-tramp | Rebound Products Inc. Completely redesigned in 2014, Dave Ross engineered a new low flex Mini-Tramp frame that further compliments our legendary Bed and Springs. This new frame reaches a steeper maximum angle without bending or sliding, to allow for optimal transfer of athlete speed into height. 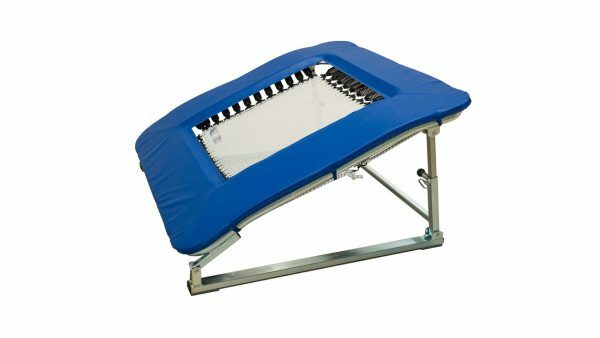 The result is the best performing mini-tramp available in North America. The new Rebound Mini-Tramp is designed for power. The frame is very rigid so the springs do the work. The top frame is heavier than usual, which results in reduced flex and increased power. The new leg system provides a triangulated base for further power gains and easier height adjustment. The top frame has a unique saddle shape. There is a downward bend at both the low and the high end. 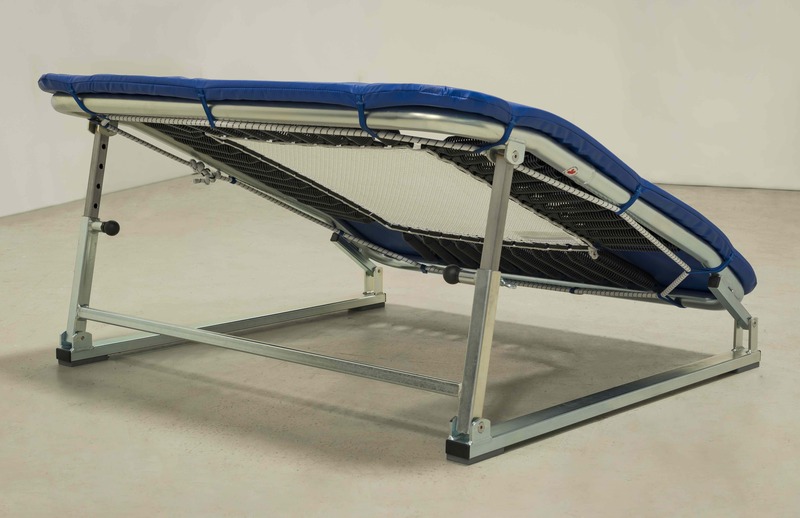 The front of the frame is lowered to allow better entry into the bed for young athletes, and the top bend results in the highest part of the frame being lower so the exit is easier and the upper frame pad is more horizontal (safer). This is particularly helpful when the unit is set to the steep maximum angle of the frame. This radical angle creates a better conversion of running power into height. In short, a slick performance machine, with added safety features. The bed is longer than it is wide, as landing mistakes are most likely in the direction of the run. The bed is woven from large custom string that provides excellent grip. 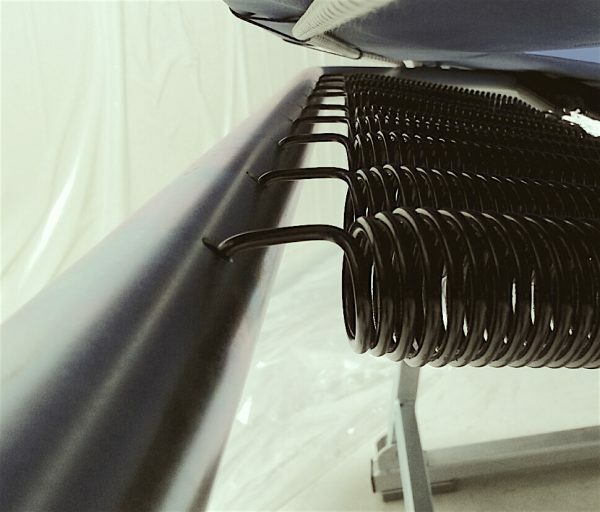 Safety features of the springs include a special hook so they sit at the frame height, eliminating bumps under the pads, while at the bed side they are highly tapered to reduce their profile there. The Dave Ross 2 String Bed is hand crafted and stitching free. A technology that has proven both its high lifetime and its ease of repair. The result is a bed that outlasts any other available. There is a sport in Scandinavian countries called Team Gym. One of the competitive events uses a single mini-tramp. Rebound has sold all the beds for these competition mini-tramps for over 20 years! These springs are designed to double as power-track springs, so they are over-designed for mini-tramp use. 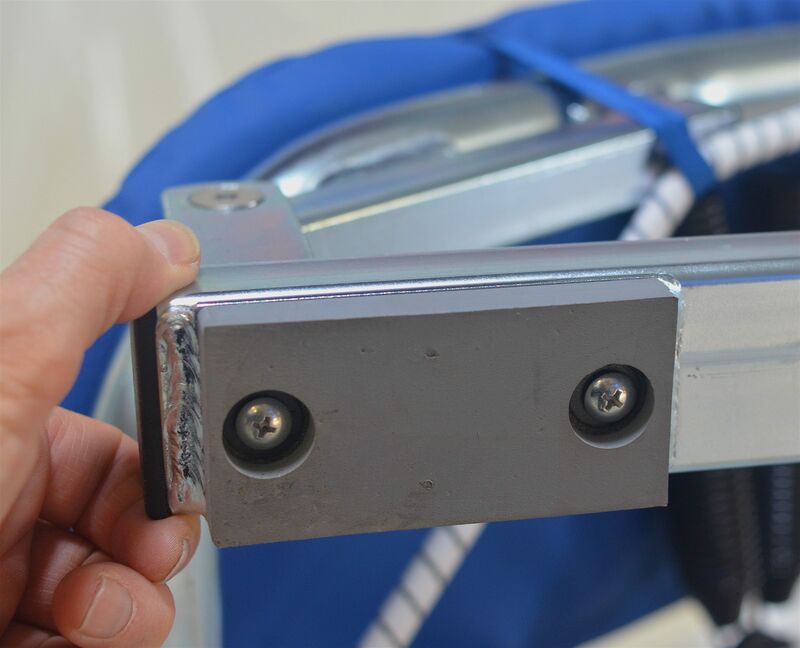 The frame pads are held to the frame with shock cord so the minimal movement on impact reduces wear points on the pads. The flat floor protectors reduce frame movement compared to traditional rounded ones. 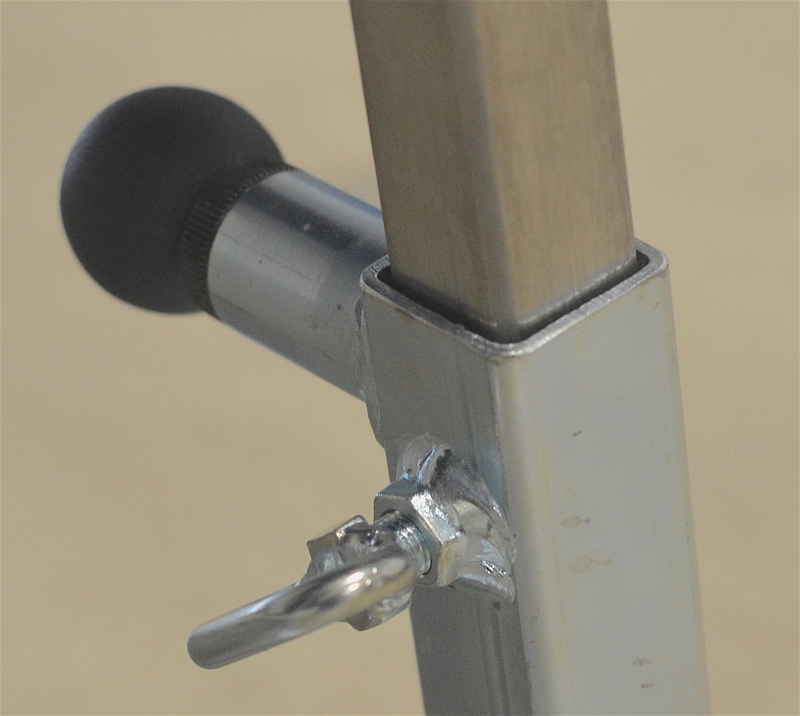 The Rebound Single Mini-Tramp’s front is so low that no vaulting board is needed in front of it for young athletes. Also, the far end at the lowest height is not much higher than a vaulting board. Special tighter springs are an in stock option. This simulates vaulting board timing and allows the unit to be set very low without bottoming out the bed. The width of the floor protectors is wide enough to straddle either 36” or 1 meter run up matting. This means this vault trainer can have the floor protectors right on the concrete to eliminate energy losses or wear to the run up mats. All this has prompted gymnasts to call it “the super board”, as it is the most powerful board they have ever experienced. A mini-tramp that is lower, longer, easier to access and much firmer than normal, is in essence, the ideal vaulting training board. 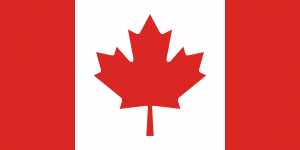 Contact us below to place and order, learn more about our products, or to get a quote.